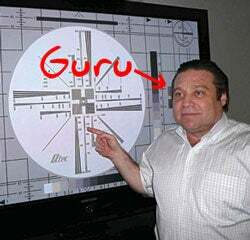 HD Guru Gary Merson has outdone his own ambitious track record, reviewing 125 TVs for a single story. He doesn't go into the aesthetic design of each model, or even measure contrast and color depth. Instead, he boils it down to some criteria you won't find on corporate sites or press releases. He once again looks at static resolution vs. motion resolution, judging how much clarity is lost when content actually plays. He tests for deinterlacing—showing all 1080 lines of a 1080i signal at the same time—and the trickier 3:2 pulldown—how well a TV can reconstitute 24-frame-per-second movie and TV content. The bad news there is that only 23% of the TVs he tested passed. You won't find a "winner" here, but if you are shopping for a TV, you need to download Gary's PDF and look up your choices on his list. [HD Guru] Also, Gary wants a NYC-area intern—see notice at the bottom of his story.